Keyword research is the foundation for deciding on whether you should enter a certain niche or not. If you enter a niche with high search volume and high competition, it could take years before you can see any type of return. If you enter a niche with low search volume and low competition, you may see quick rankings, but no profit. That is why finding a sweet spot between high search volume and low competition is the key to successful keyword research and ultimately profits. My friend Koen Berkenbosch, gave me a free look inside of this powerful keyword research and niche finder software. This web-based software does not use the Google Keyword Tool, but other secret methods for finding undiscovered and under-saturated markets. Niche Shark is adding over 10,000 keywords per day to the database. As you will see in the graphic below, NicheShark shows you A LOT of information in regards to search volume and competition. They also color coordinate how hard or easy it is to rank for a particular term. Keywords in green are easy, yellow are medium, and red are the hardest keywords to rank for. 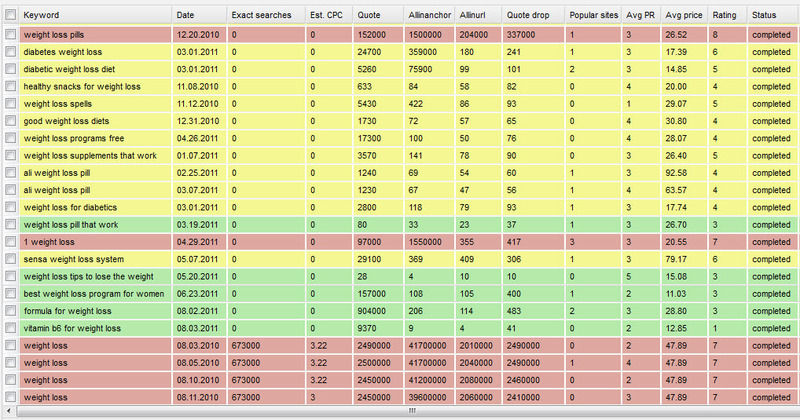 Todays keywords are a list updated each day of new found keywords with high search volume and low competition. Essentially NicheShark does the keyword research and shows you only the most profitable keywords and niches you should go after. Whats the next step once you find profitable keywords? Finding a domain that incorporates the keywords you want to rank for in your domain name. NicheShark gives you one-click access to see if the keyword you want to go after has an exact-match domain available. It shows you the availability for .com, .net, .org and .info for each keyword. For anyone who is looking to or is already a niche affiliate marketer, or just looking for long-tail keywords to rank for for your current website/blog, NicheShark can handle all of the research for you. With their unique sources for pulling keywords into their database and ability to segment the list between easy to hard, they make it super easy to find profitable keywords and niches. So definitely check it out, as its a must tool to have. Koen was nice enough to allow me to give you guys 10% off Niche Shark. In order to receive your discount, you will need to click this link and enter the coupon code “sos”. Get 10% Off Niche Shark Now!